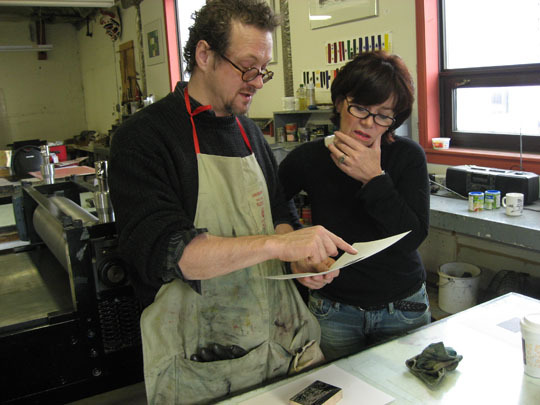 In 2006, a group of letterpress printers, book artists and book collectors began gathering in St. John’s to share their love of beautiful and boundary-breaking books. 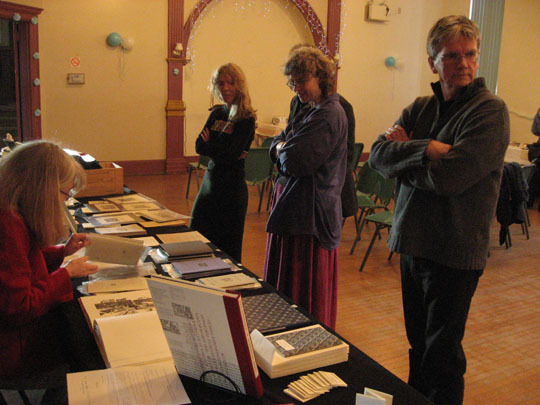 They held their first large public event from November 20th to 26th, welcoming acclaimed wood engraver and book artist, George Walker, to St. John’s, and hosting a variety of events around town to celebrate the history, traditions, and innovations of books. Some of the treasures in the CNS holdings were on display, including song books printed by Johnny Burke, early local books, an edition by Rockwell Kent, and work by contemporary printers. 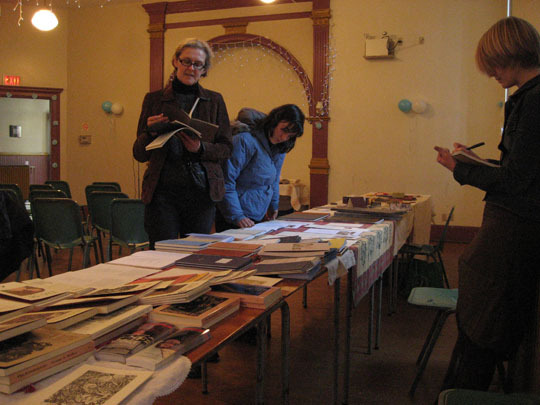 Some wonderful innovations in the book arts were included in this small show featuring the work of local printers and book artists, as well as treasures from the private collections of local book lovers. Curated by Tara Bryan, Marnie Parsons, and Kevin Major, this show was presented in conjunction with George Walker’s public lecture on re-inventing the book. 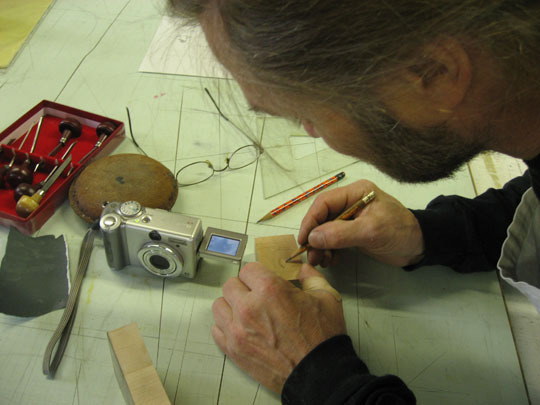 George Walker offered an intensive introduction to wood engraving. 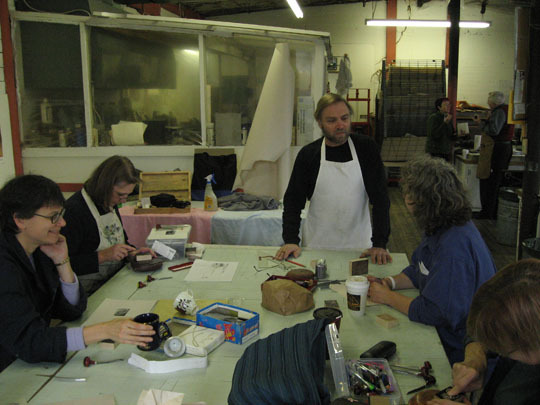 Presented in collaboration with the Writers’ Alliance of Newfoundland and Labrador, this workshop by George Walker introduced writers, ‘zine publishers, and interested layfolk to some of the issues and aesthetics of book design. An easy introduction that entertained, informed, and inspired. In a culture that increasingly sees it as obsolete, many artists are contemplating the book’s role as an information vehicle. The book has stood the test of time, but will it survive the new digital information revolution? It must! See how artists meet the challenge of creating in the book format and address the issue of the role of books in our future. 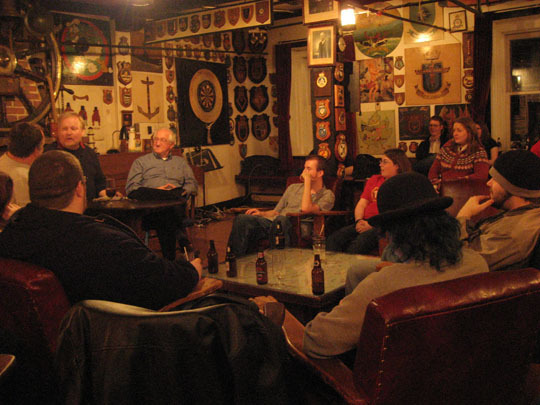 A casual conversation with seasoned printers Don Morgan and Greg Noseworthy. 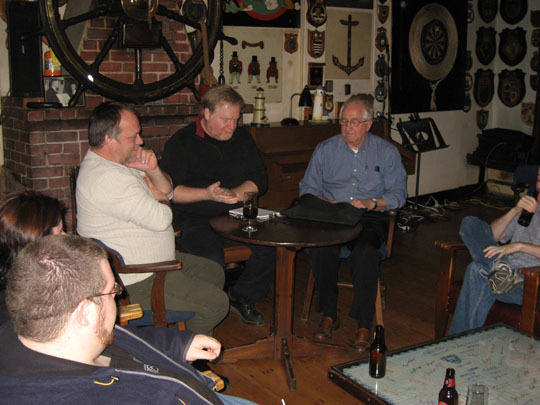 These men spent years in the industry here on the island, and had great stories to share. 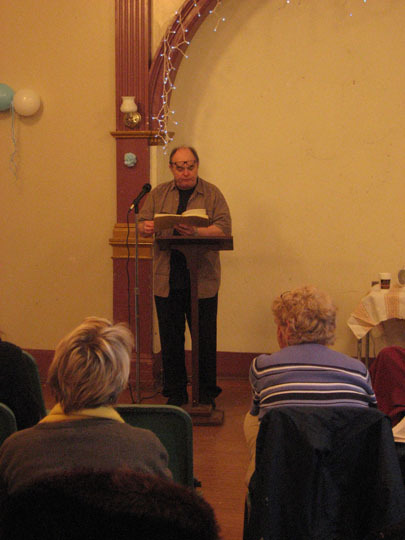 Moderated by J Barry. 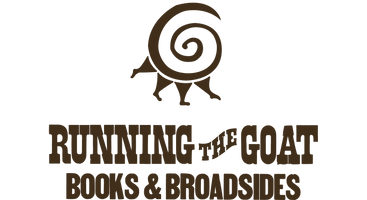 Local book artists and printers (walking bird press; Running the Goat Press; St. Michael’s Print Shop) opened their doors to the public. The Basilica Museum was also open, showing some of its remarkable collection of books. 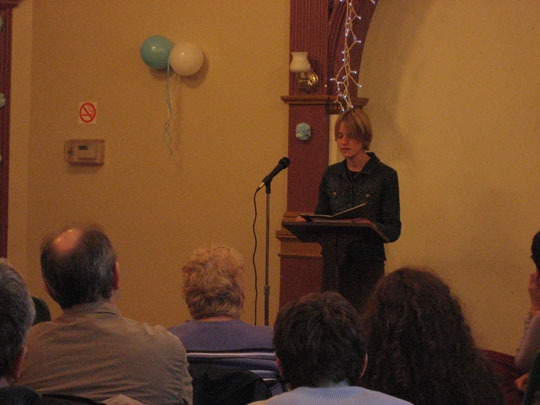 Wayzgoose 2006 was presented with the kind support of the Newfoundland and Labrador Arts Council. 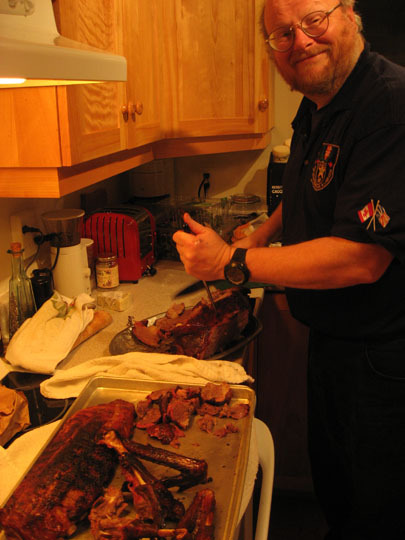 Photos below are by Ya-Ling Huang and George Walker.